Project success is often determined from the very defining of the project. Face it: some projects are great ideas and others simply aren’t. No matter how deep you go, you just cannot change that. 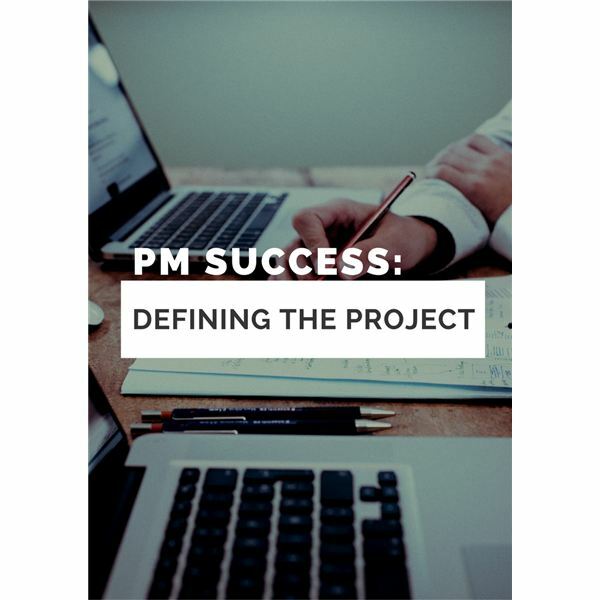 However, some basics such as defining the scope, clearly stating objectives and goals, being specific about the deliverables and making sure you have adequate resources allow a great project to succeed and in the process help you to avoid proceeding with a bad project. In short, it’s about doing a quality job up front thinking about the what, why and who of the project. I was once on a project that was bound to be a winner. I was not the project manager but rather a developer at the time. The project was a joint venture between two banks, where one bank would provide capital for home equity loans, and the other would provide a series of loan application processing capabilities. My part was to build the application that the new call center reps would utilize to manage the application process for all of the loan applications. My end of the project went very well and the several other pieces of the project did well enough that, when stitched together, they all formed the product of the project. In the end, the bank had the infrastructure in place to support this lending niche. The call center spun up rapidly, going from 0 to 60 reps in the space of 6 months. From an execution perspective, there surely was a good cohesive plan up front. However, this project made so much market and economic sense that it was bound to be a winner from the start! So what made it a successful project? Was it that the execution was so good, or that the concept was so great? I would argue that the concept had more to do with the success, because if probably left a lot of room for error. Even if the execution was subpar, it could be adjusted. In the end, you would require good execution, but the strength of the concept provided plenty of room for forgiveness. That’s why I say that defining the project alone can be the greatest contributor to eventual success. What experiences have you had with projects that were well-defined, providing lots of forgiveness through the implementation phase?